Comments: The MoVI is a huge leap forward, some call it a game changer or a “Steadicam Killer.” From what we’ve seen they may be right. You be the judge. Some may ask why the MoVI over other 3-axis gimbals? Simply put the Freefly MoVI is built upon years of experience in multi-rotor airborne camera platforms. Those years of experience and the Freefly team’s obsessive attention to detail shows throughout. If you’ll be working alone, this is the ideal setup. With the MoVI M15 in majestic mode, you’ll control the camera by steering the handles letting the M15 smooth out all your inputs for glassy smooth footage. Is as simple* as mounting your camera and utilizing either of the two tilt modes. 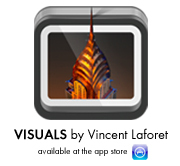 The first will hold a level horizon or angle of your choosing no matter how the camera moves. The second mode, called majestic angle, will follow the handles in both pan and tilt giving you a smooth movement and complete freedom for framing. The unit can be adjusted and fine tuned for performance on the fly with the included Nexus 7 Android tablet. The bluetooth connection allows you to monitor all paramaters of the M15 during operation. One really helpful feature is the real-time graphing of each axis’ motor output. This will help you determine if you’ve achieved proper balance. Description: The MoVI is a huge leap forward, some call it a game changer or a “Steadicam Killer.” From what we’ve seen they may be right. You be the judge. 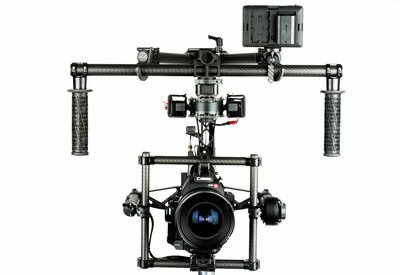 Some may ask why the MoVI over other 3-axis gimbals? Simply put the Freefly MoVI is built upon years of experience in multi-rotor airborne camera platforms. Those years of experience and the Freefly team’s obsessive attention to detail shows throughout. If you’ll be working alone, this is the ideal setup. With the MoVI M15 in majestic mode, you’ll control the camera by steering the handles letting the M15 smooth out all your inputs for glassy smooth footage. Is as simple* as mounting your camera and utilizing either of the two tilt modes. The first will hold a level horizon or angle of your choosing no matter how the camera moves. The second mode, called majestic angle, will follow the handles in both pan and tilt giving you a smooth movement and complete freedom for framing. The unit can be adjusted and fine tuned for performance on the fly with the included Nexus 7 Android tablet. The bluetooth connection allows you to monitor all paramaters of the M15 during operation. One really helpful feature is the real-time graphing of each axis’ motor output. This will help you determine if you’ve achieved proper balance. Comment: This "smaller sibling" is scheduled to be released in early 2014. Comments: The Freefly Systems Mimic for MoVI is one of the coolest pieces of tech that we have here at LensProToGo. It’s a Freefly MoVI pan/ tilt/ roll controller unlike anything you’ve seen. There are no knobs, levers, or joysticks. You simply move the Mimic-equipped crossbar & handles as if you were solo-operating the MoVI and the MoVI responds just as if you were actually controlling it! The Mimic uses accelerometers to calculate how much you are panning, tilting, and rolling in real time and transmits that data to the built-in receiver on all of our MoVI units. Our Mimic kit includes a Paralinx Arrow Transmitter & Receiver for video transmission, a USB power solution for the Mimic and Paralinx Receiver, a JST-RCY power adapter for the Paralinx Transmitter, and a Monitor Mount. Simply add whichever monitor you’d like and whichever MoVI you’d like, and you’re ready to go! Description: The Freefly Systems Mimic for MoVI is one of the coolest pieces of tech that we have here at LensProToGo. 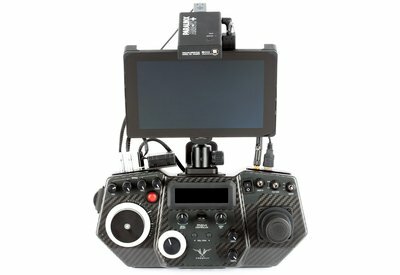 It’s a Freefly MoVI pan/ tilt/ roll controller unlike anything you’ve seen. There are no knobs, levers, or joysticks. You simply move the Mimic-equipped crossbar & handles as if you were solo-operating the MoVI and the MoVI responds just as if you were actually controlling it! The Mimic uses accelerometers to calculate how much you are panning, tilting, and rolling in real time and transmits that data to the built-in receiver on all of our MoVI units. 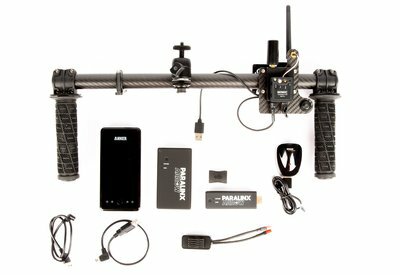 Our Mimic kit includes a Paralinx Arrow Transmitter & Receiver for video transmission, a USB power solution for the Mimic and Paralinx Receiver, a JST-RCY power adapter for the Paralinx Transmitter, and a Monitor Mount. Simply add whichever monitor you’d like and whichever MoVI you’d like, and you’re ready to go! Comments: Simply put the MoVI controller is a no compromises solution. The Freefly team has thought of everything. For us the biggest things are the incredibly accurate joystick that makes pan and tilt movements extreemly precise & built in follow focus controls. Designed to work with the Hocus Products Axis 1, you can wirelessly control your follow focus and pan/tilt control with one unit/operator. Even if Freefly didn’t have a planned focus-iris-zoom (FIZ) slated for release soon, this would still be the magic bullet. The other advantage of the MoVI Controller is the two way communication with the MoVIs. This will allow you to monitor telemetry from the M5, M10, or M15. Skip the laptop or tablet and tune the MoVI performance via the bright and easy to read OLED display. This thing is BRIGHT. You can use the Menu select & set knobs to quickly adjust just about any setting on the MoVI M5, M10, or M15. Description: Simply put the MoVI controller is a no compromises solution. The Freefly team has thought of everything. For us the biggest things are the incredibly accurate joystick that makes pan and tilt movements extreemly precise & built in follow focus controls. Designed to work with the Hocus Products Axis 1, you can wirelessly control your follow focus and pan/tilt control with one unit/operator. Even if Freefly didn’t have a planned focus-iris-zoom (FIZ) slated for release soon, this would still be the magic bullet. The other advantage of the MoVI Controller is the two way communication with the MoVIs. This will allow you to monitor telemetry from the M5, M10, or M15. Skip the laptop or tablet and tune the MoVI performance via the bright and easy to read OLED display. This thing is BRIGHT. You can use the Menu select & set knobs to quickly adjust just about any setting on the MoVI M5, M10, or M15. Comments: I’ve worked with every wireless follow focus system out there. The Preston FIZ is the king of the hill but comes with a whopper of a price tag. The Bartech will introduce a delay the further the receiver is from the transmitter. This is clearly the single best wireless focus I have used in terms of performance and price. The build quality is flawless, the unit is plug and play and calibrates in under 5 seconds. Veteran Hollywood ACs have given this the nod and one called it the "Rolls Royce" of single channel wireless focus systems. You can’t ask for much more than that. This is a hefty investment for most, but it’s one you’ll use for quite a long time to come. The ability to start/stop with many cameras is also a huge plus as the operator (on the MōVI) can seldom easily reach to stop/start most cameras as their hands are usually busy holding the unit. I’ve also used this system w/ 30~300mm zoom lenses, stiff cine lenses, and Canon EF lenses – they all work wonderfully with what is a fantastic motor. I power this unit w/ D-Tap power most of the time from a camera output, an Anton Bauer battery + plate w/ D-Tap outlet, or directly from a Lipo battery. Description (from Hocus Products): The Axis1 is a simple but full featured single channel professional remote focus system, designed for the high end professional. Built to be simple, easy and robust, it can handle any lens, including the stiffest freezing cold cine zooms, and can even be manually set to work on cheaper stopless DSLR lenses. Comments: While I can’t quite praise this unit the same way I would the Axis 1 above, this is an incredible value in terms of what you get vs what you pay for. The motor is not as powerful as the Axis, it’s noisier, and there may be a delay between how fast you turn the follow focus and how fast the lens rotates (due to weight/torque etc.) But for most people: that’s totally acceptable – and that’s especially true when you consider how (relatively!) affordable this kit is. The thumb wheel is another secret weapon here – this allows a solo operator to walk the MōVI AND pull focus. This becomes quite a bit to do – but we don’t all have the luxury of a 1st AC so it’s a wonderful tool to have at your disposition. I power this unit w/ D-Tap power most of the time from a camera output, an Anton Bauer battery + plate w/ D-Tap outlet, or directly from a Lipo battery. Description (from B&H): The microRemote from Redrock Micro is a wireless lens control system. 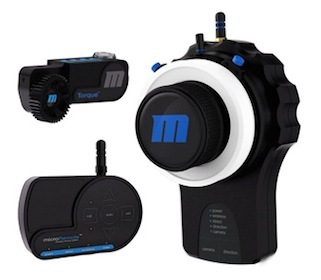 The system is comprised of three main components, the microRemote handheld wireless controller, the microRemote Basestation and a Redrock Torque motor. 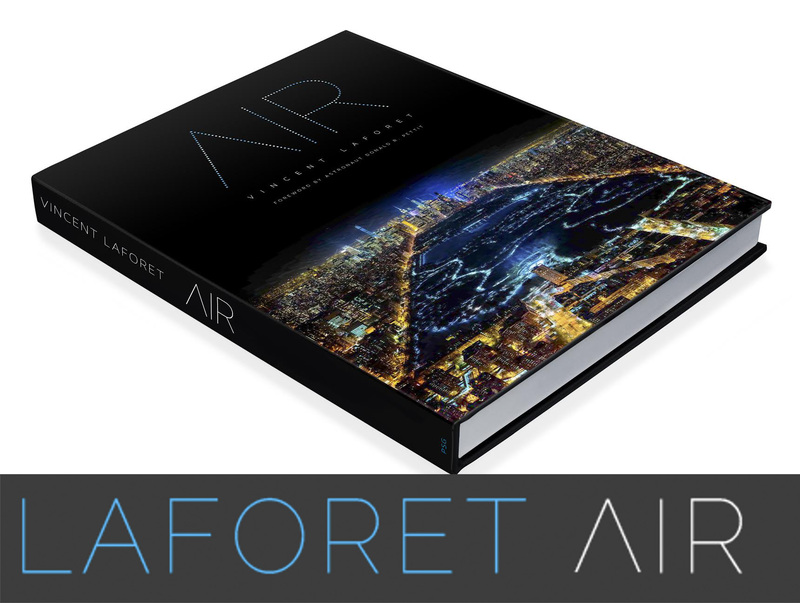 This bundle also includes the microRemote Wireless Cable Pack and a 120v AC Adapter. 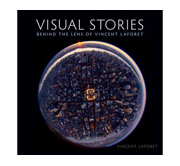 The microRemote works on virtually any lens with standard 0.8 film pitch gears. Description (from small HD): The DP4 has been designed to function from the ground-up as a standalone 4.3” field monitor. It accepts HDMI signals up to 1080p and displays them on a 800×480 resolution screen. It also has an HDMI output, and can act as a loop-through for the HDMI signal. Comments: Easily one of the best monitors on the market period. The quality of color – stunning. Close to what you get from very high end monitors. The LUT support (which allows you to shoot in Canon Log or on an Alexa in C-log as well and still get punchy colors for client to see is fantastic!) This is the perfect monitor to put on your MōVI remote control. I recommend you use the physical "lock" button to avoid unwanted touch screen bumps during your shoot, and I used this monitor both with Canon LPE6 batteries and Anton Bauer Batteries. Description (from small HD): Even with OLED as its bigger brother, the LCD in our AC7 series has nothing to be ashamed of. Sporting an 8-bit, IPS, LED-backlit display it is a marked improvement over our DP6 in nearly every respect. Each AC7 ships with native 1280×800 resolution so you don’t have to worry about your built-in on-camera LCD telling you your shot is in focus when it is in fact, not. The SDI version comes with an SDI input and output and loop-through functionality. Description (from small HD): OLED or “Organic LED” is a unique display technology that does not require a backlight to produce a viewable image (unlike LCD.) Instead, it uses tiny LEDs to make up its red, blue, and green pixels—all which generate the light on their own. As demonstrated, this means that the “black” areas of the screen are truly black (because the pixels are literally producing no light), rather than the dim glow we’re used to seeing on the “black” area of an LCD display as it tries to stop the backlight from leaking through. The benefit of this is higher contrast, higher color reproduction (gamut), and lower power consumption—overall, a much more attractive and accurate image. Description (from small B&H): The Teradek Bolt Pro Wireless 1080p60 SDI Monitoring Transmitter & Receiver wirelessly transmits an uncompressed HD video signal in up to 1080p60 4:2:2 as far as 300 ft with zero delay. The receiver features two 3G-SDI outputs for dual monitoring. One of these can be used to pass the video signal to an optional Teradek Cube Encoder, which will stream the signal even further on by WiFi or Ethernet, although only in up to 1080p30. The Bolt Pro transmitter has a looping SDI output for local monitoring, a 70 minute internal battery, and can connect to more than one receiver in order to multiply the outputs. Comments: The Paralinx is just as strong as the Teradek above. The only limitation is that the kits is only HDMI right now (although there are HDSDI versions in the works as well as an adaptor for the HDMI but that makes it a bit too big for me on the MōVI kit) and therefore you can’t mix and match w/ HDSDI right now which can be a pain in production. This will be fixed soon enough I’m sure. The transmitter is incredibly small as well, and can be powered with a mini-USB cable out of the Small HD DP-4 which is fantastic. Keep in mind that you need to power the receiver with a camera power output, an Anton Bauer battery + plate w/ D-Tap outlet, or directly from a Lipo battery. 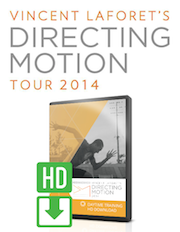 Description (from Paralinx): The motion picture industry’s first affordable yet professional wireless HD system. Uncompressed 4:2:2 1920×1080 10-bit video. Less than 2ms latency. Supports multiple framerates and resolutions. Operates on 5v power (Transmitter requires 1A, Receiver 2.1A). Range of over 300ft (91m) line-of-sight. 256-bit encryption of transmitted signals. FCC, CE, and ROHS certified. HDMI video input/output. Transmitter weighs less than 40 grams. Plug & Play–no set-up required. Comments: I will never use another case again other than this one w/ my MōVI. Why? The MōVI does not fit in most Pelican cases when built (unless you go w/ the really large ones) and therefore you end up taking it apart to pack. This case allows you to keep it completely built and be ready to shoot within less than 5 minutes of arriving on location. I can’t stress how much easier it makes your life to have slots for all of your tools and accessories as well – I’m basically completely enamored w/ this case and consider it to be a "no brainer" purchase. The case w/ a basic MōVI M10 comes in a 40 lbs, and mine comes in at exactly 50 lbs fully loaded, PERFECT for airline travel and shipping. Description (from Paralinx): Reduce setup time with this case! 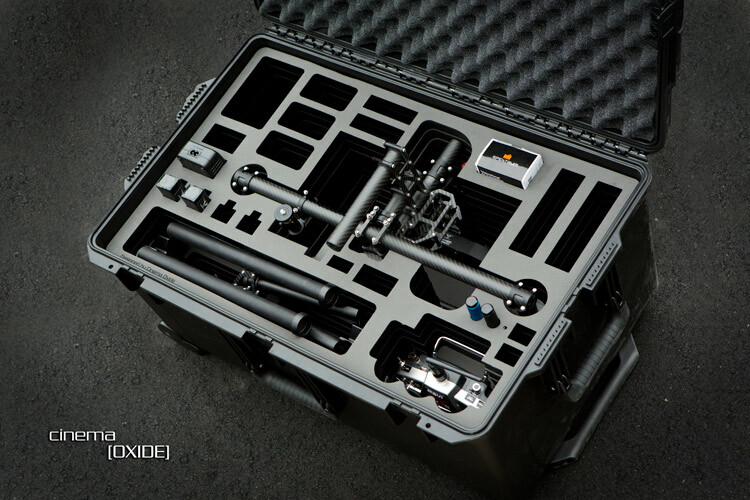 Safely and securely stores your Movi while in transport. Made with Genuine Pelican case and laser-cut high-grade foam. Great work, Thanks a ton for putting all the gears guide. Thanks a lot for this great help. But I bought a Jason Cases based on your page and really i must say the guy is not serious at all, I suggest that people should not buy from this guy, not costumer support, not polite at all, and after 1 month still no case and not able to give me a refund! Until I found this I thouhgt I’d have to spend the day inside.